​Quilting is a slow craft, with many steps in the process. The sewing is actually the easy part. For me, it's the choice of colors that takes the most thought and effort. 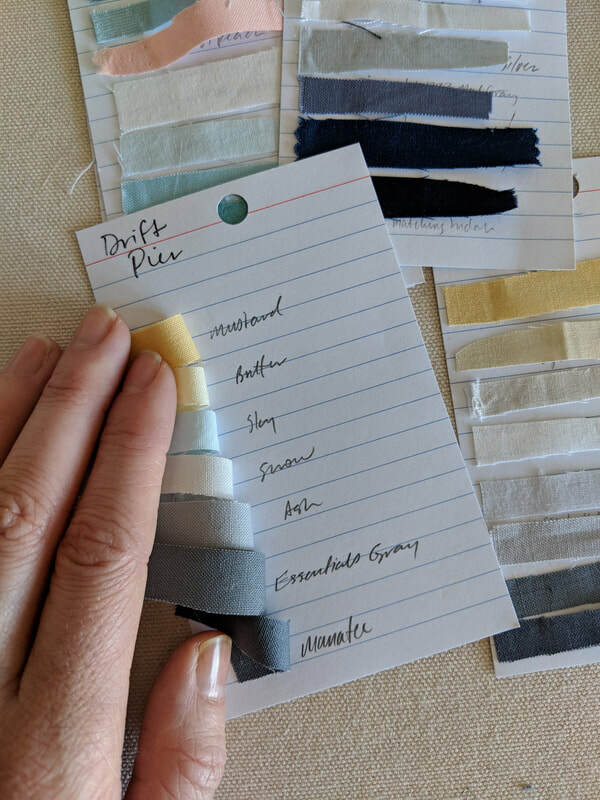 Like a painter, I compose my palette of colors before I begin, gathering fabrics and grouping them together to see how they get affect one another in various combinations. 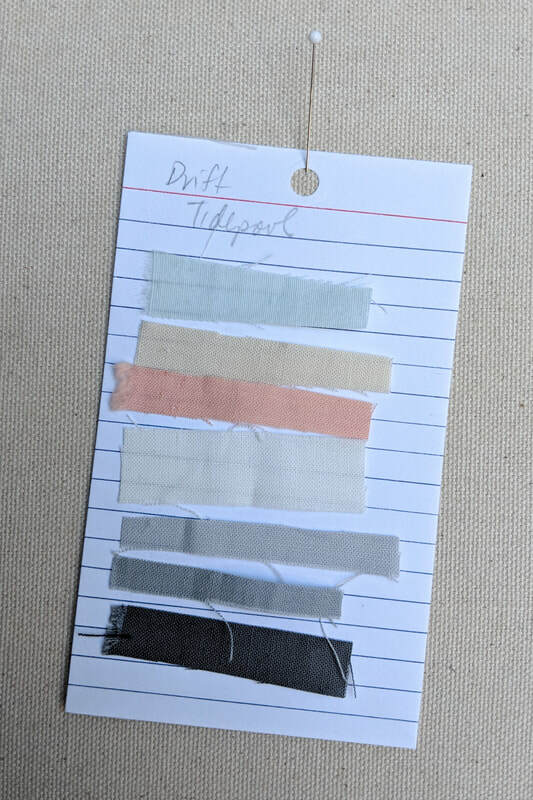 I shuffle swatches around until a group feels cohesive and balanced. 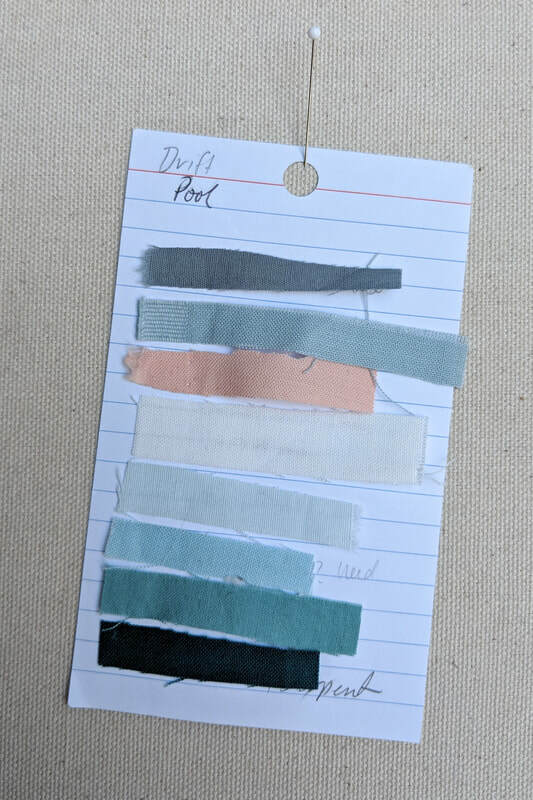 Then I record the color names on a card, and attach a strip of the fabric for reference. 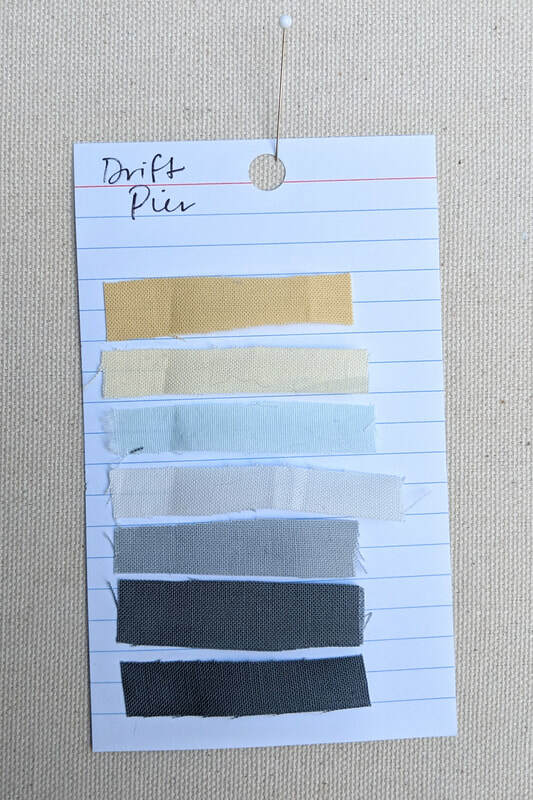 For Drift, I chose color schemes that evoke a quiet, calming, atmosphere. My colorway names refer to a group of colors, with watery associations, like Pond, Shore, and Atlantic. I may make multiple Shore items (a pillow, a quilt, and wall piece). Each will contain roughly the same colors, but no two will be exactly alike. ​If you were to order multiples of one item, expect some variation, as each piece I make is individually crafted. I always use a warm off-white for my lightest tone. It's much softer than stark white, and it doesn't compete with the other colors. 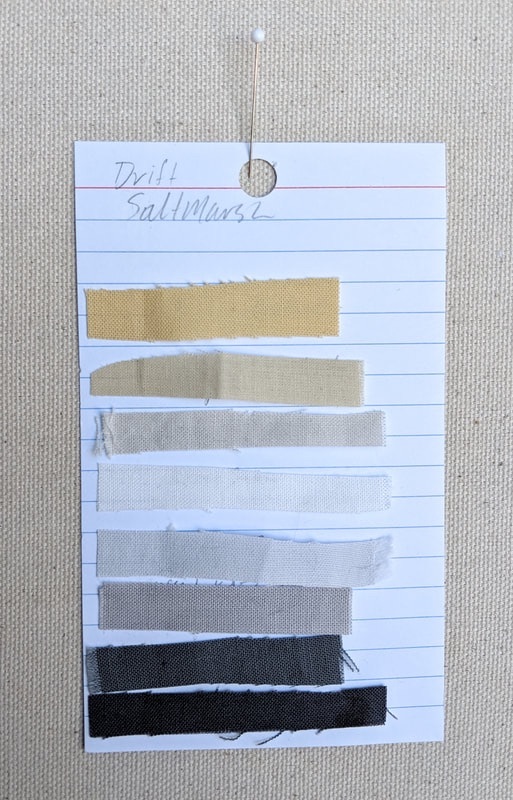 Salt Marsh: charcoal, warm gray, gold. 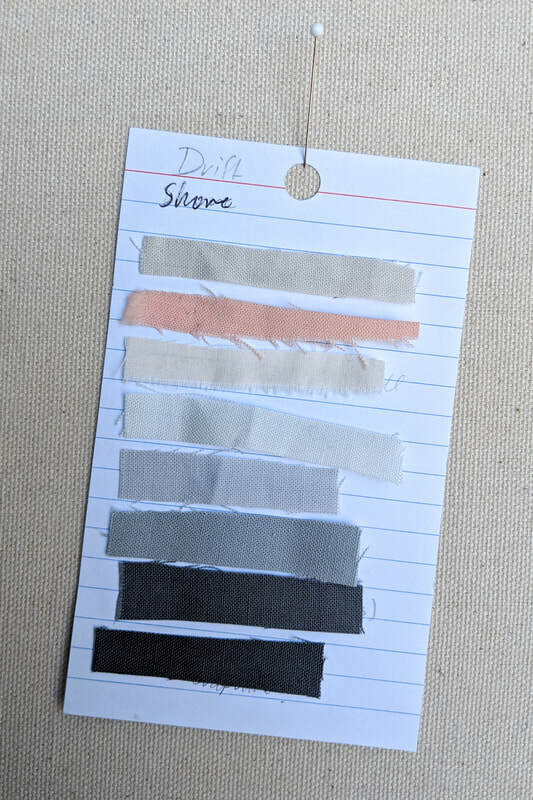 Shore: charcoal, gray, pale peach. 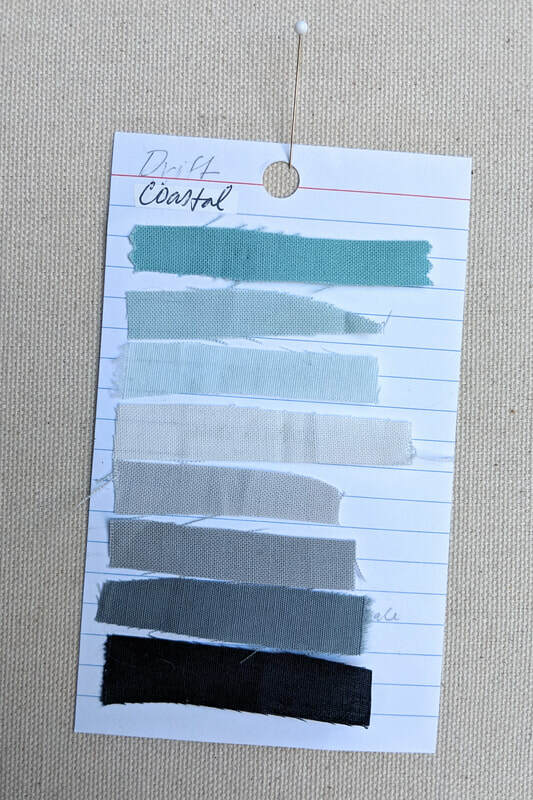 Pond: navy, grays, light blues. 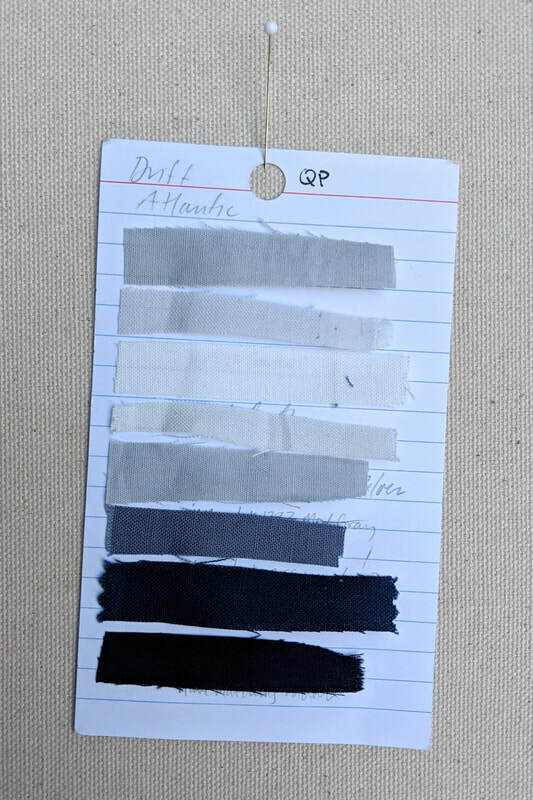 Atlantic: navy, cool blues, pale grays. Tidepool: grays, peach, pale sky blue. 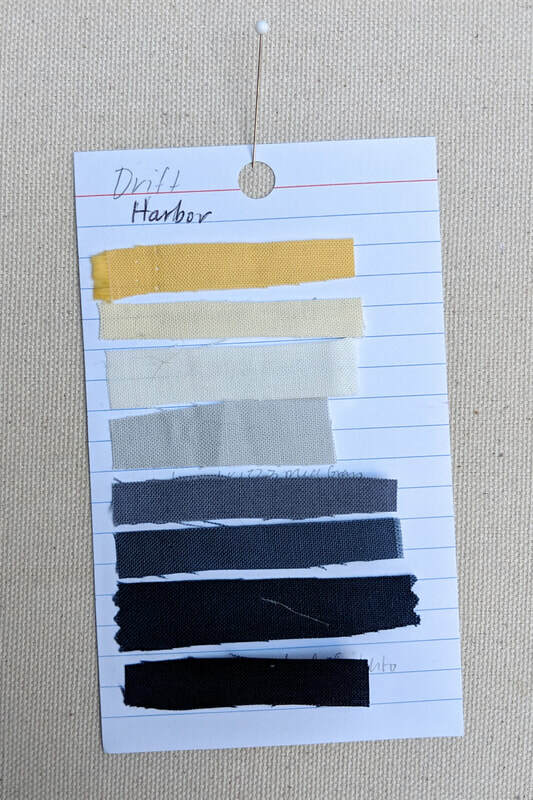 Harbor: navy, pale gray, gold. Pier: dark gray, gold, sky blue. 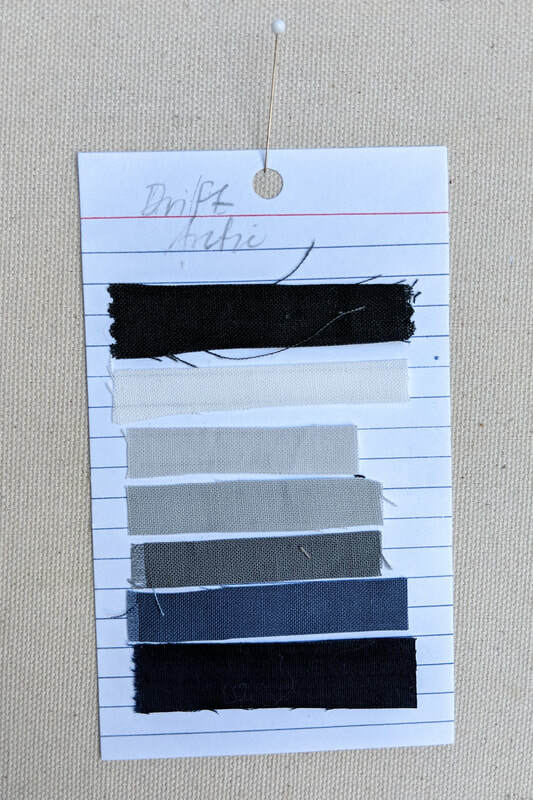 Arctic: dark blues, grays, black.